Being able to juggle multiple and often competing priorities is a critical skills set for team leaders. This four week program explores the foundations of time management for team leaders. Download a program outline here. The team leadership role requires agility in terms of juggling multiple priorities. This program provides you with a better understanding of where your time is spent, what your priorities are, and some foundational tools to manage and organize your time. This is a four week teleseminar program which covers the foundations of time management for team leaders and aspiring team leaders. This course can be taken as part of, or separate to, the Teams 365 Coaching Group. Where do you spend your lime? This final module covers your own vision for time management and also leaves room for addressing additional topics such as tips for managing interruptions, handling procrastination, and other topics of interest to the group. Reserve your spot in the Time Management Foundations Module. Your registration includes the four calls, module notes each week with resources and two laser coaching calls with you including a 15 minute pre-call and mid-point laser cal). Space is limited to 8 team leaders, or aspiring team leaders. This program can be taken as a standalone AND it is also part of the series of eight modules for the Teams365 Team Leader Foundations program. The program is facilitated by Jennifer Britton, host of the Teams365 blog. Jennifer is the founder of Potentials Realized, a performance improvement company focusing on leadership and teamwork. Jennifer is a former team leader with the United Nations, and has led global, virtual and multicultural teams. For the last 10 years, through Potentials Realized, she has supported hundreds of teams and leaders expand their skills and insights through engaging training, coaching and facilitated sessions. Jenn is known for her expertise in the area of group and teamwork and is the author of Effective Group Coaching (Wiley, 2009) and From One to Many: Best Practices for Team and Group Coaching(Jossey-Bass,2013). Both books have been adopted by coach training schools and university programs to train new generations of professional coaches. 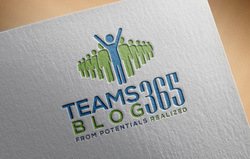 Visit our main site at Potentials Realized, and the daily tips for team leaders at the Teams365 blog. Contact Jennifer by email or phone at (416)996-8326.